“The Midnight Swim” is a 2014 found footage film written and directed by Sara Adina Smith. The film follows three estranged sisters who visit their childhood home to settle the affairs of their recently deceased mother in the wake of a diving accident in a nearby lake. The Midnight Swim is director Sara Adina Smith’s first feature-length film and first foray in the horror film genre. She subsequently directed a segment of the horror anthology Holidays (2016). 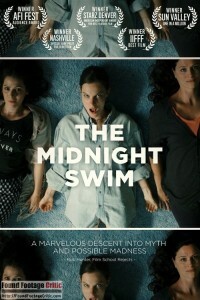 The Midnight Swim is a unique entry in the found footage genre in that the film hinges on the relationships between the characters rather than a black-and-white plot. The film also contains an unwieldy amount of symbolism and a degree of subtext that surpasses the depths of the mysterious lake featured in the film. The Midnight Swim opens with three sisters driving to their childhood home. The mood is sullen and the conversation is forced—and the film later reveals that the sisters’ mother recently passed away from a diving accident. Adding to the tension during the drive is the fact that these sisters are estranged. This trip marks the first occasion in a very long time where the three women will spend appreciable time together. Filming the trip (and most of the feature) is June (Linsday Burdge) who captures everything on her video camera as a form of self-therapy for a psychological ailment that is hinted at, but never fully explained. Her video camera is an extension of herself, without which she feels vulnerable and exposed. June’s eldest sister Annie (Jennifer Lafleur) is a pragmatist, having carried much of the family’s responsibility during her childhood. The third sister, Isa (Aleksa Palladino) is a free spirit, a trait she shares with her mother. Upon arrival, their mother’s house brings back memories, some good and some bad, from their seemingly dysfunctional childhood. All the while the (figurative) ghost of their mother looms over the household and their lives, further exacerbating the tension between the three sisters. Overshadowing the passing of their mother is the mysterious lake in which she drowned. An ancient and mystical story permeates the depths of the lake. According to legend and stories passed down, the lake has a lore that draws unwitting swimmers to their death. Did the three sisters’ mother die from an unfortunate accident or was she a victim of a supernatural force? The Midnight Swim is filmed entirely with a diving video camera wielded by character June for most of the film. Generally speaking, the cinematography used throughout the film is nothing short of beautiful and each shot is thoughtfully captured and meaningful. The colors are vibrant and the choreography is beyond reproach. While the cinematography is exceptional and artfully done, from a found footage perspective the cinematography in The Midnight Swim is not without issue. One of the more significant divergences from the found footage conceit of the film is the audio. The characters in The Midnight Swim are each equipped with a personal mic (or perhaps a boom is used), as is evidenced by their level volume regardless of their proximity to the camera. 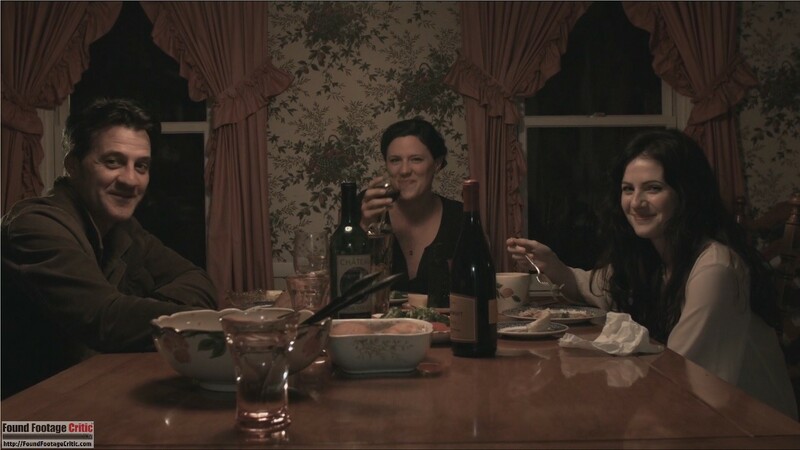 In one scene, June is filming in the kitchen and the characters in the dining room have the same volume and clarity as characters June and Annie in the kitchen. The same issue holds true for audio captured outside, particularly for dialog captured while the characters are on a noisy motorboat on the lake. A second issue with the audio in The Midnight Swim is the use of non-diagetic sound and background music—these sounds would not find their way in the film unless the footage were subsequently edited by a third party, which is unlikely given the nature of the story. 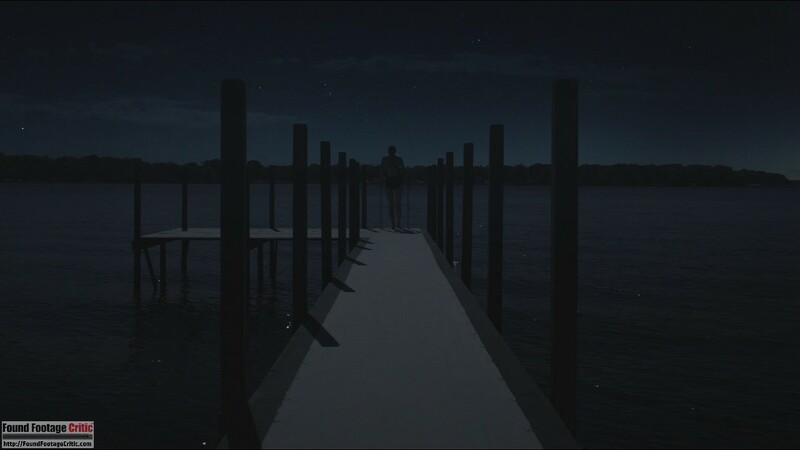 In the latter part of The Midnight Swim there are scenes where the cinematography clearly strays from found footage to a more traditional narrative approach. To avoid spoilers, we will refrain from discussing these scenes further other than to say that there are points in the film where the cinematographer comes into question as well the camera source. While The Midnight Swim clearly deviates from the conventions of accepted found footage technique, the film arguably never has any intention of adhering so closely to the genre. 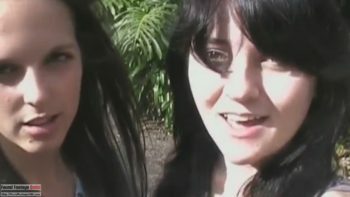 The filming technique used in the film is more akin to a stylistic vehicle to carry the POV of character June in a justifiable manner. The Midnight Swim also presents as an abstraction of reality, portraying the metaphorical journey of the characters through the lens of spiritualism and touching on rebirth and reincarnation. To this end, the film ever-so-closely crosses the boundaries of fantasy. The filming reason used throughout The Midnight Swim is exceptional. The main protagonist, June, films everything as a form of self-therapy to cope with her emotional problems. While, the exact nature of her ailment is not explicitly described in the film, her body-language and reliance on the video camera is undeniable. The Midnight Swim is in the company of several found footage films that use a medical condition as a reason for filming. In Alien Abduction (2014), the protagonist films everything as a prescribed form of therapy to cope with autism. Similarly, in Altar (2016), the main protagonist films as a means of coping with Asperger’s syndrome. While The Midnight Swim is beautifully shot and exceptionally composed, the film deviates from the established norms of the found footage genre. As discussed earlier, the use of personal mics on the actors (or the use of a boom) and inclusion of background music and sound design detract from the found footage conceit of the film. Additionally, the climactic ending of the film contains cinematography that calls into question how specific scenes are captured, and by whom. 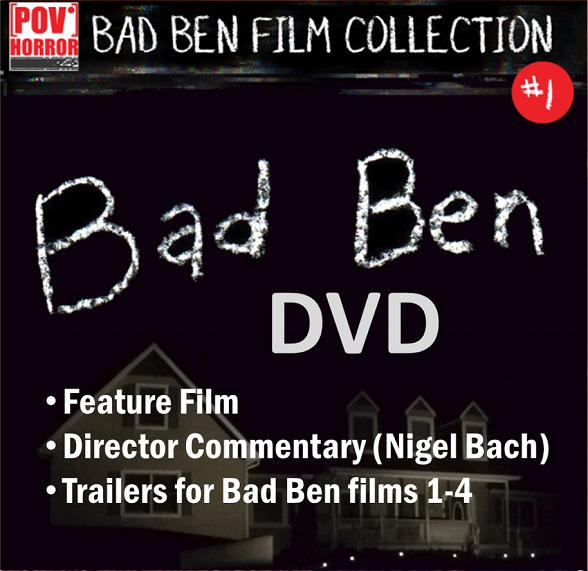 It is very well possible director Sarah Adina Smith had no intention of creating a true found footage film. 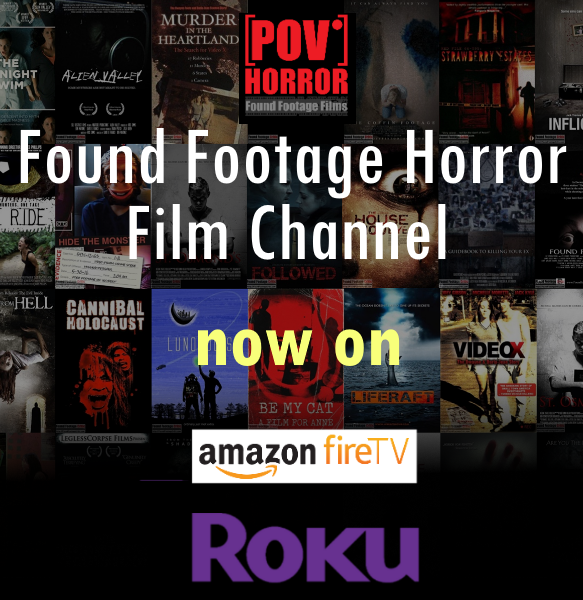 Nonetheless, experienced found footage film viewers watching The Midnight Swim as a found footage film are likely to independently pick up on some (or perhaps many) of the technical transgressions raised in this review. For this reason, our rating must reflect these technical misses. The acting in The Midnight Swim is exceptional from end-to-end. Every member of the ensemble cast offers something special to this film and each is to be praised collectively and individually for their performance. Lindsay Burdge performs wonderfully as June, the socially inept and reclusive member of the family. Since June performs most of the filming, the cinematography itself further accentuates her thought process and character flaws. During an early scene in the film where the three sisters discuss the sale of their mother’s house with a realtor, June relentlessly (and silently) focuses the video camera on the realtor’s face—creating an unbearably uncomfortable situation to watch. While June is neither in front of the camera during this scene, and nor does not speak, this scene (and others like it) contribute heavily towards defining the depth of her character. Michelle Hutchison performs incredibly as the realtor during the abovementioned house sale scene. She uses body language and facial expressions to convey her growing sense of unease as June continues to film despite the realtor’s polite and round-about objections. Jennifer Lafleur’s performance as eldest sister Annie is stellar. Annie is resentful for having carried the burden and responsibility for watching over her two younger sisters growing up. Her childhood has molded her into a spiteful person with a sense of deserved entitlement, which Jennifer Lafleur plays beautifully. Her character portrays a real sense of tension whenever she’s in the same room with her two sisters. Jennifer Lafleur recently starred in a segment of the horror anthology Holidays (2016), also directed by Sarah Adina Smith. 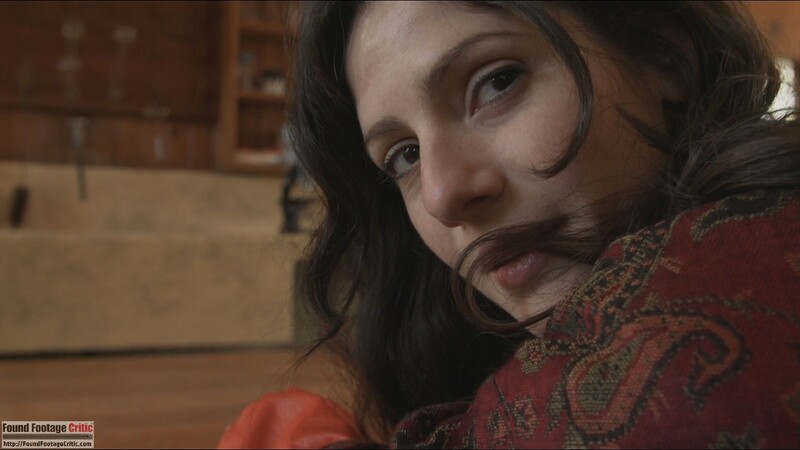 Aleksa Palladino is passionate and expressful as Isa, a free spirit guided by her emotions. Her character’s emotionally driven decision making often butts heads with Annie, who prescribes to a diehard pragmatic approach to life. Fans of the AMC series Halt and Catch Fire (2014) may recognize Aleksa Palladino as having played the fiance to the lead character Joe MacMillan. Beth Grant is convincing as Amelia, mother to the three sisters. While her character is technically deceased, she makes onscreen appearances through a VHS tape the sisters discover in the house. Amelia was a biologist studying the mysterious lake in her backyard. From the stories told by the sisters and VHS tape played during the film, we can gleam that Amelia is a cross between Annie and Isa, a believer in the spiritual realm, yet grounded in the pragmatism of the real world. The underlying story and flow of The Midnight Swim is vastly different than any found footage film to date. While most found footage films are grounded in a black-and-white story, The Midnight Swim is a more of a slice-of-life film, covering the emotional and spiritual journey of three estranged sisters rediscovering their past and trying to connect with one another. Interestingly, the film is told almost entirely through the lens of a video camera held by character June—who is suffering from a psychological ailment which skews her perception of reality. As such, while the camera doesn’t lie, what June chooses to film is not necessarily representative of what actually takes place. This fact makes June an unreliable narrator, placing the burden on the viewer to interpret the veracity of what unfolds onscreen. This approach to storytelling is brilliant as it adds a layer of abstraction and subjective interpretation to a plot already laden with symbolism and inherent ambiguity. An undertone of the film is the mysterious Spirit Lake, where the sisters’ mother drowned while diving. According to a local legend known as The Seven Sisters, seven sisters drowned in the lake trying to save one another. Adding to the lore, stories passed down tell of a mysterious force in the lake that compels swimmers to dive into the depths of the water and drowned. The questionable circumstances surrounding Amelia’s death in concert with the ancient stories about the lake calls into question whether supernatural forces are to blame. One evening the three sisters jokingly perform a ceremony to invoke the spirit of the seventh sister. The next evening, and each subsequent evening, the three sisters find a dead bird on their doorstep, each of which presumably flew into the door and died. Were the bird kills a result of the sisters’ impromptu ceremony or did they simply occur out of happenstance? 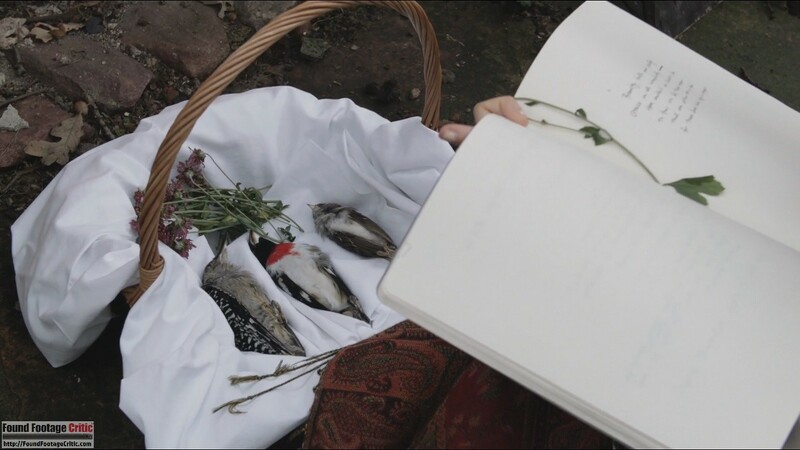 Perhaps June, who is manipulating perceived reality with her video camera, placed the birds on the doorstep to create the appearance of supernatural forces. These are but a few of the deep-rooted questions that Sarah Adina Smith evokes with The Midnight Swim. Spirit Lake is unusually deep. No diver has ever managed to find the bottom, though many have tried. When Dr. Amelia Brooks disappears during a deep-water dive, her three daughters travel home to settle her affairs. They find themselves unable to let go of their mother and become drawn into the mysteries of the lake. 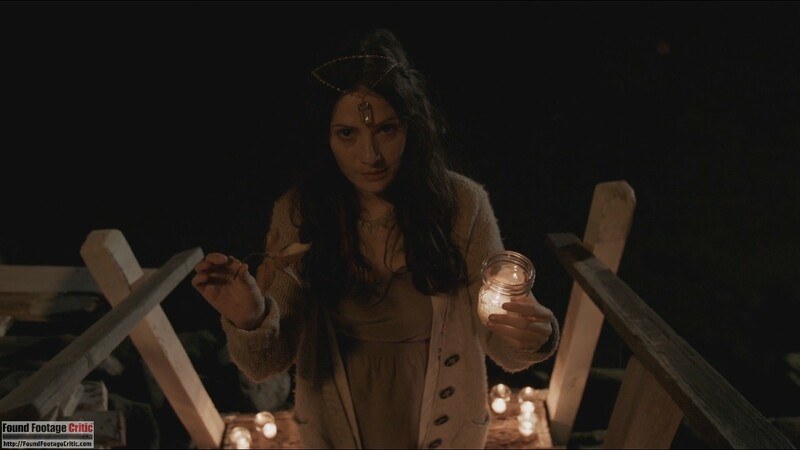 THE MIDNIGHT SWIM is a found footage film that touches on the metaphysical, spiritualism, and fantasy. The story is singularly focused on the relationship between the three main protagonists, with a subtle paranormal undertone. With its exceptional acting, beautiful cinematography, and abstract plot, this is a found footage film well worth watching.